Weather- and dust-resistant, the FUJINON XF50mmF2 R WR lens from Fujifilm is compact and lightweight, making it ideal for a variety of travel photography situations. Among its features are a 76mm equivalent focal length (35mm film format), ƒ/2.0 maximum aperture and high-speed autofocus. The X-Mount is compatible with all FUJIFILM X Series interchangeable-system cameras. The lens is designed to complement Fujifilm’s X-Trans CMOS sensor. It has 9 elements in 7 groups, including one aspherical ED lens, and its inner focusing system includes a stepping motor for fast, silent AF. Aperture and focusing rings have been designed to be comfortable and easy to use. The XF50mmF2 R WR lens will be available in Black and Silver in February 2017 for $449.95 (USD) and $649.99 (CAD). Valhalla, N.Y., January 19, 2017 – As the leader in innovation for photographers, FUJIFILM North America Corporation today announced the new FUJINON XF50mmF2 R WR, a compact, mid-telephoto lens adding to the X Series lineup of interchangeable lenses known for their outstanding image quality. The lens features a focal length equivalent to 76mm (in the 35mm film format) and a maximum aperture of F2.0 for beautiful bokeh. The compact and stylish optic also offers high speed AF and weighs just 200g. The new XF50mmF2 R WR is a mid-telephoto lens that is designed to deliver the very best results from Fujifilm’s unique X-Trans CMOS sensor. 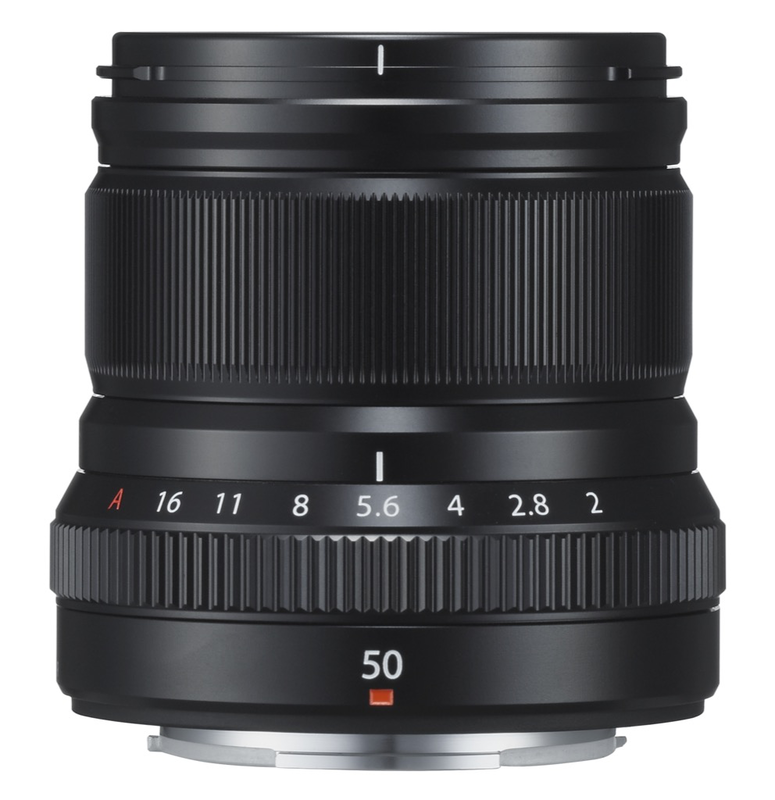 The XF50mmF2 R WR, perfect for any type of travel photography, is compact and lightweight, and features 9 elements in 7 groups, including one aspherical ED lens, and has an inner focusing system, driven by a stepping motor for fast and silent autofocusing. The premium XF50mF2 R WR is made of metal and glass for a stylish, robust design with a premium feel, while the aperture and focusing rings have been designed to be comfortable and easy to use. The lens is also weather and dust resistant, and operates in temperatures as low as 14°F\10°C, making it ideal for shooting in a variety of weather conditions. The FUJIFILM XF50mmF2 R WR (Black and Silver) will be available in February 2017 in the U.S. and Canada for USD $449.95 and CAD$649.99. * Design and specifications may be subject to change without notice.